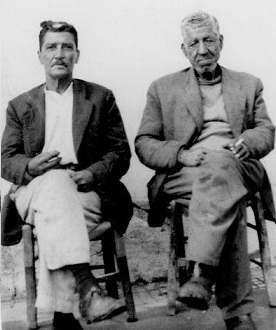 This song is one of the most popular traditional Cretan songs written by Kostas Mountakis. (You can listen to it on Youtube) It is dedicated to the memory of Nikolis Tsengas, who was born in Kissamos in 1900. He was a simple person, an illiterate poor fisherman who loved Gramvousa and expressed his affection through his songs. He was its greatest poet. 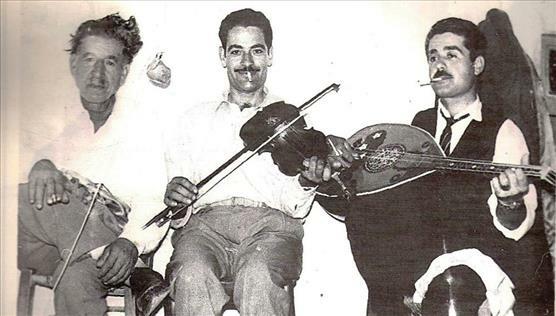 A talented, self-taught folk composer who became a legend, just like Gramvousa itself. He excelled as a composer and his mantinades (short poems from Crete sung in the rhythm of accompanying music) remain popular. He named both his Syrtos music and his poems “Grabousiana”, after Gramvousa. He addressed everyday problems with a philosophical attitude, mourned for his misery, mused over curious things in the world and always enjoyed life. He could not play any instruments and he had not studied music or been to arts school. But he had a unique talent: he could compose music only by whistling. The life of Gramvousa’s greatest admirer came to a tragic end. He drowned in its blue waters on a dreadful day for Crete. 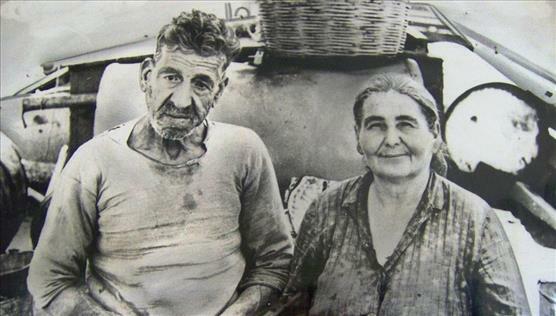 Nikolis Tsengas was a fisherman and on 7th December 1966 his boat “Kyriakos” got caught in a raging storm near Gramvousa. At the same moment, the ferry “Irakleio” was sinking near Falkonera in Central Aegean, causing the deaths of 250 Cretans. Nikolis Tsegas died in the place that he loved more than anywhere or anything in the world. His wife Maria, who was with him on the boat, could not save him. Alone and helpless, she did not know how to turn off the engine and stayed on the boat for two days and two nights. When the storm was over, fishermen from Kasteli went to her aid. Tsegas’ body was found on the rocks of Gramvousa a few days later. He became a legend, just like the island he loved so much. Today, visitors to Gramvousa can’t help wondering how one person could tie his name to a whole island. Yet, Tsegas became part of history and remained in the hearts of all those who knew him but also of the next generations. He was a genuine person with a true Cretan soul! Our dear Nikolis Tsegas, you and your mantinades have stayed in our heart and we always sing them wherever we are. You became a legend together with Gramvousa!